Matt has performed with The Rogue Theatre as Cash Bundren in As I Lay Dying and Bill Walker in Major Barbara. He graduated from Dell’Arte International in 2009 with an MFA in Physical Ensemble Theatre. Since then he has performed with The Pinnacle Peak Pistoleros and their Wild West Stunt Shows, as well as with Stories that Soar! Matt has been seen at Live Theatre Workshop here in Tucson and has acted in New York, Chicago, and San Francisco. He is teaching acting this year at The University of Arizona. David was a member of the cast of The Rogue Theatre’s first production, The Balcony, and has recently appeared in The Real Inspector Hound, The Decameron and Major Barbara. He has appeared locally in Shining City and The Birthday Party at Beowulf Alley Theatre and The One-Armed Man, The Disposal and The Glass Menagerie at Tucson Art Theatre. Avis is performing in her tenth Rogue production with The Winter’s Tale! She was previously seen in Naga Mandala, Animal Farm, The Good Woman of Setzuan, as Dunyasha in The Cherry Orchard, Sasha in Orlando, Beatrice in Immortal Longings, Julia in A Delicate Balance, Desdemona in Othello and as Kate in Old Times. She received her theatre degree from Northwestern University. Other favorite roles include Olga in The Three Sisters, Faith in Invisible Theatre’s production of Kindertransport, Emilia in Othello, and the title role in a one woman show, which she adapted and directed, about Bahá’í heroine Martha Root. She most recently appeared as Hermia in ChickenLipps production of Sarah Rule’s Dead Man’s Cell Phone. Patty Gallagher is Associate Professor of Theatre Arts at University of California Santa Cruz where she teaches movement, mask, Balinese dance, and clown traditions. With The Rogue Theatre she performed the roles of Shen Te in The Good Woman of Setzuan, Ranevskaya in The Cherry Orchard, Winnie in Happy Days (most recently for Rogue’s tour to Bangalore, India), Sonnerie and Scarron in Red Noses, Orlando in Orlando, the Player in Act Without Words, Emilia in Othello, Ariel in The Tempest and Alibech in The Decameron. She has worked with Shakespeare Santa Cruz, The Folger Shakespeare Theatre, California Shakespeare Theater, The New Pickle Circus, Ripe Time Theatre, Two River Theatre, Teatro Cronopio and Grupo Malayerba. She has performed, choreographed and directed workshops in Asia, South America, Europe, and the U.S. In 2006 she was Fulbright Scholar in Quito, Ecuador. She holds a doctorate in Theatre from University of Wisconsin–Madison. She is Director in Residence for the Clown Conservatory, San Francisco Circus Center. Steve is honored and excited to be making his first appearance with Rogue Theatre. Ensemble work includes “Sweeney Todd” and “The Full Monty” with AOP. Steve has also appeared locally with Live Theatre Workshop and Borderlands Theatre. Her professional acting career has included work in the areas of television, film, industrial film and training, voiceover, musical theatre, as well as regional theatre and off- Broadway. Locally, Kathryn was last seen at Invisible Theatre as Roseanne in Brilliant Traces and Christa McAuliffe in Defying Gravity. Kathryn has a BFA from the University of Arizona and continuing studies with the Royal National Theatre Studio, London. Kathryn runs the Kellner Studio, a multidisciplinary consulting and coaching practice that provides consultation and theatre based training in presentation skills and communication strategies. She has lectured and taught in the U.S. and Canada in the fields of higher education, law, science, and politics. David has appeared with The Rogue Theatre as Louis de Rougemont inShipwrecked! An Entertainment, Stephano in The Tempest, Brabantio and Montano in Othello, Editor Webb in Our Town, in the ensembles of Animal Farm and Orlando, as Madame Pace in Six Characters in Search of an Author, The Pope in Red Noses, Yephikhov in The Cherry Orchard, The Man in the Silver Dress in the preshow to The Maidsand Glaucus in Endymion. He has acted locally with Arizona Opera (The Pirates of Penzance, The Threepenny Opera), Arizona Onstage Productions (Assassins), Actors Theatre (The Bible: The Complete Word of God (Abridged)) and Green Thursday Theatre Project (Anger Box, Rain), of which he was a co-founder. 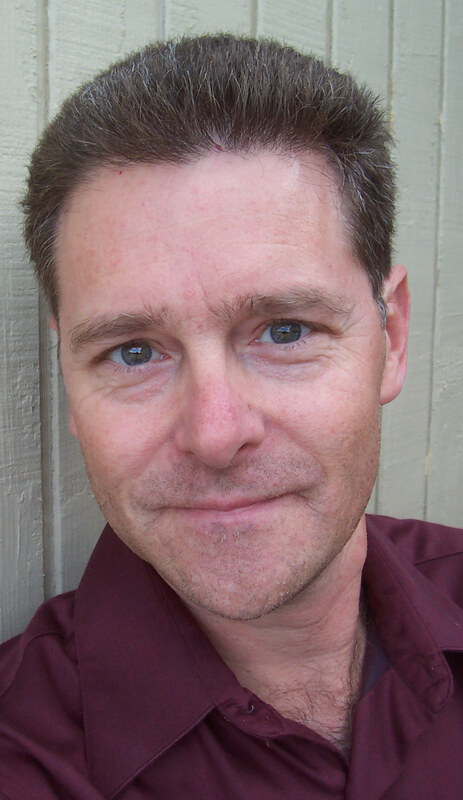 David has also directed The Rogue’s productions of Major Barbara, Ghosts, A Delicate Balance, The Goat (2008 Arizona Daily Star Mac Award), Six Characters in Search of an Author and Krapp’s Last Tape, Not Iand Act Without Words. David has also directed productions with Green Thursday, Oasis Chamber Opera, DreamerGirl Productions, and Arts for All. He was the text coach for The Rogue Theatre’s productions of The Tempest and Othello. He teaches Acting and Shakespeare at Pima Community College. Joe McGrath is a graduate of the Juilliard School of Drama, where he studied with Michael Kahn and Michael Langham. A member of Actors’ Equity Association, he has toured with John Houseman’s Acting Company, appearing in Pericles, Tartuffe, Twelfth Night, and The Country Wife. At the Utah Shakespearean Festival, Joe appeared as Horatio in Hamlet, Glendower in Henry IV, Part I, and Borachio in Much Ado About Nothing. In New York City, he directed Rough Magic: A Shakespeare Quartet. In Tucson, he is a frequent performer with Ballet Tucson appearing as Quasimodo in The Hunchback of Notre Dame, a Stepsister in Cinderella, Bottom in A Midsummer Night’s Dream, VanHelsing in Dracula and, perennially, as Drosselmeyer in The Nutcracker. He has also performed with Arizona Theatre Company, Arizona Opera, Tucson Art Theatre, Arizona OnStage, Green Thursday, Damesrocket Theatre, and Old Pueblo Playwrights in such roles as Trigorin inThe Seagull, Sam Byck in Assassins, John in Oleanna, and This Rock in Anger Box. For The Rogue Theatre, Joe authored and directedImmortal Longings, directed As I Lay Dying, The Real Inspector Hound, The Decameron, Our Town, Red Noses, The Maids (winner of theArizona Daily Star 2007 Mac Award for Best Play), The Balcony and Endymion, and performed in Major Barbara, New-Found-Land, Old Times, The Tempest, Ghosts, Naga Mandala, Othello, Krapp’s Last Tape, A Delicate Balance (winner of the Arizona Daily Star 2009 Mac Award for Best Actor), Animal Farm, Orlando, Six Characters in Search of an Author, Happy Days, The Goat, The Cherry Orchard, The Good Woman of Setzuan, The Dead and The Fever. Joe is also a scenic designer and owns, with his wife Regina Gagliano, Sonora Theatre Works, which produces theatrical scenery and draperies.